If you’ve always dreamed of making friends with a unicorn, look no further! Shake her soft hoof and welcome her in! 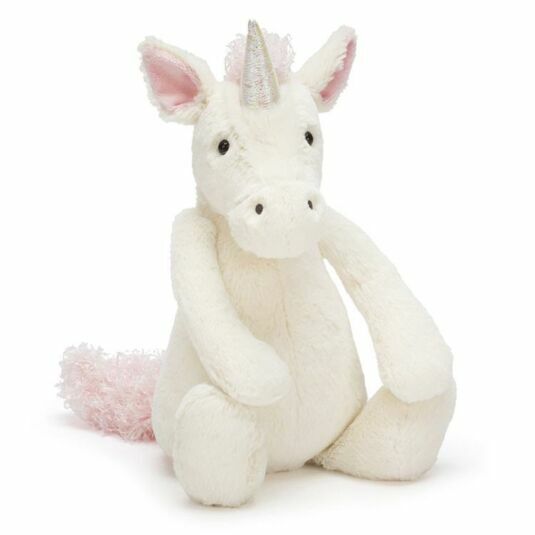 This gorgeous creamy unicorn has a fab fluffy mane and tail, and is endlessly cuddly. Even her beautiful horn is soft and squishy for merry, magical playtimes! Cuddle her, play with her; read her stories, this little unicorn is a friend for life!